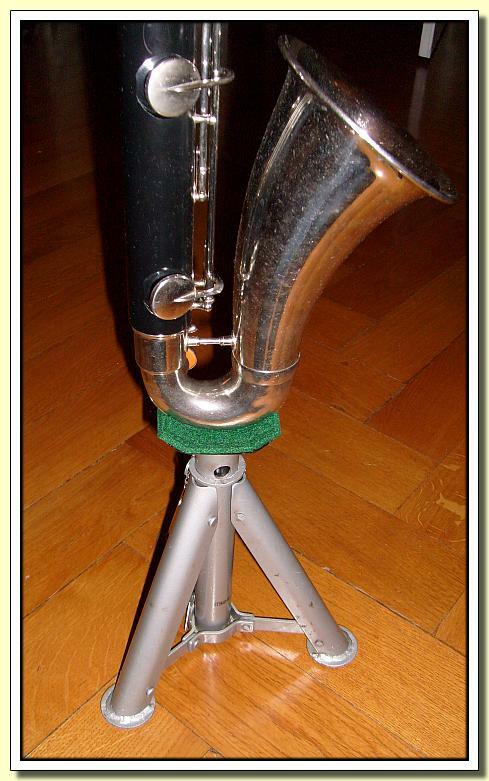 My bass clarinet is a 'walking' or 'marching' bass - it does not have a floor peg or at least a clamp to attach one. I heavily padded its business end with felt (formed so that the bell wouldn't slip away), et voil�, the Two Ton Bass Clarinet Rest. It's even adjustable, and no modifications to the clarinet are necessary.